When you’re young—in your twenties, say—it’s easy to think that no matter how many pounds you put on, you’ll always be able to starve and exercise yourself back into fighting shape. Here’s some bad news: Weight gain is self-reinforcing. As your weight climbs, your body’s metabolism adjusts to maintain your new girth. The solution? Don’t let yourself slip in the first place. Maintaining a low weight over the course of your entire life is about more than looking good; it’ll preserve your overall health. 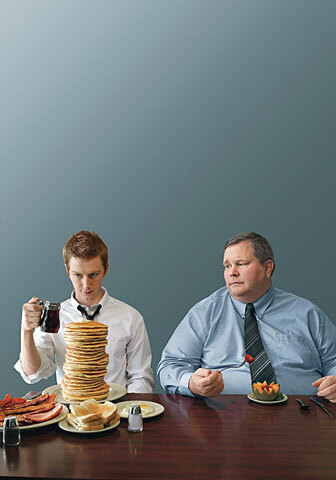 By being vigilant about how much you eat—no matter how old you are—you’ll save yourself from a lifetime of fending off weight gain and the health problems that accompany it. If you grew up in the ’80s, the notion that fat is evil is probably lodged deep inside your brain. 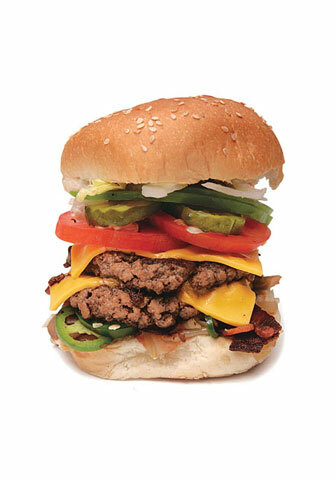 But remember: It’s calories you’re concerned about, and you needn’t obsess over where they’re coming from. Certain low-fat foods replace fat with sugar and can actually end up containing more calories: Low-fat yogurt, for example, can contribute more to your daily caloric intake than the richer, creamier (and tastier) full-fat stuff. (a) a Ping-Pong ball, (b) a pea, (c) a tennis ball. (a) a wheel of Brie, (b) your fist, (c) a stack of Post-it notes. (a) your netbook, (b) your cupped hand, (c) a travel tube of toothpaste. 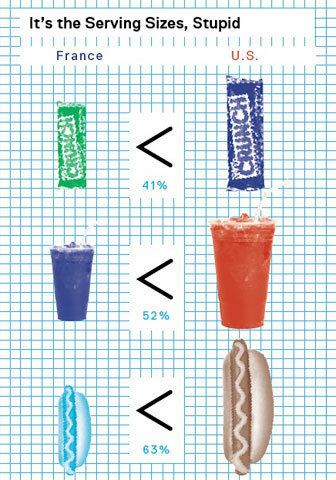 Want to know where most of your calories are coming from? Follow the lead of two anonymous GQ editors—one a fish-eating vegetarian, one a barbecue fan—and record what you eat for a few days. As a general rule, you can eat them until you’re full. One of the great triumphs of modern supermarket shopping is the sheer variety of produce on offer—half a dozen kinds of apples, a few kinds of pears, kiwis, mangoes, papayas—and you’ll improve your chances of keeping a healthy amount of fruit in your diet by cycling through different varieties. For veggies, avoid steaming and boiling; they may be the lowest- cal options, but you’ll be bored to death within days—and return to your old, higher-calorie way of eating. Instead, sauté, roast, or grill them. 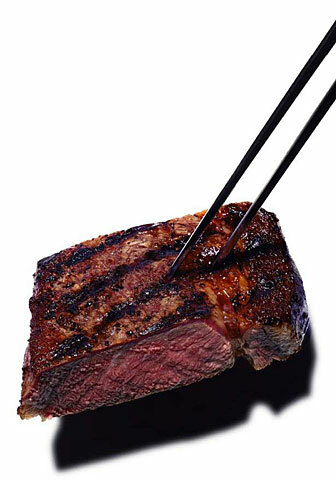 Protein—especially the sort found in lean meats and dairy—is another great way to trick your body into satiety. 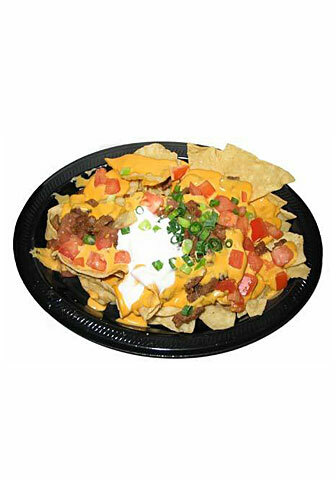 When digested, it causes the release of a hormone called CCK that makes you feel full. Combine lean protein and fruit—say, yogurt and strawberries—and there’s a perfect breakfast. First the bad news: Alcohol is calorie-dense, and a few drinks add up quickly. But by having a glass of water with each drink, you’ll wind up ordering fewer of them (and have less of a hangover the next morning, too). Per serving, wine has the fewest calories, then beer, then cocktails. 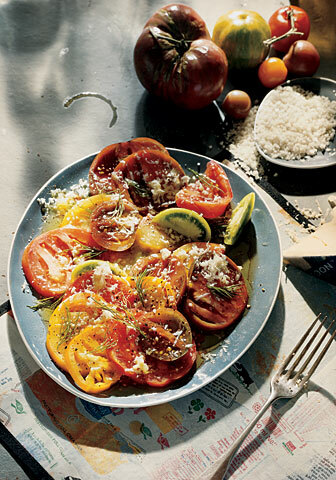 Instead, try focusing on just a few basic ways of cutting back—a salad instead of a burger and fries for lunch (800 calories less) or the petite portion of steak when you’re out for dinner (200 calories less)—and once you’re doing that consistently, adopt another, like buying smaller dinner plates to use at home (you’ll put less food on them). • Hummus and avocados: For the crackers. • Cooked, peeled, vacuum-packed beets: For salads, snacks. 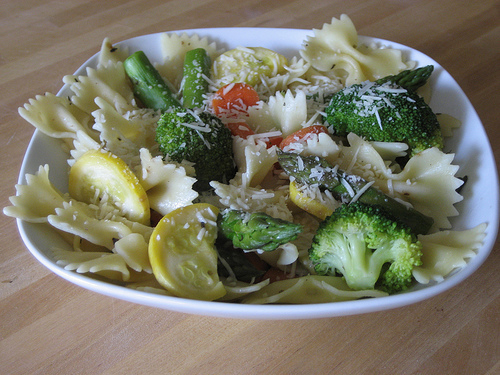 • Olive oil, vinegar (balsamic, white wine, apple cider), and Dijon mustard: For salad dressing. • Steel-cut oats: For breakfast. Wow. I am in awe over here. You gotta love GQ Magazine – even though the first article is usually located approximately 48% into the Stephen King-sized novel of a publication (you know, past all of the ads? ), it has some great information in it. One of the things that caught my eye in the March 2010 issue (Kobe Bryant on the cover) is the Boxee Box by D-Link. 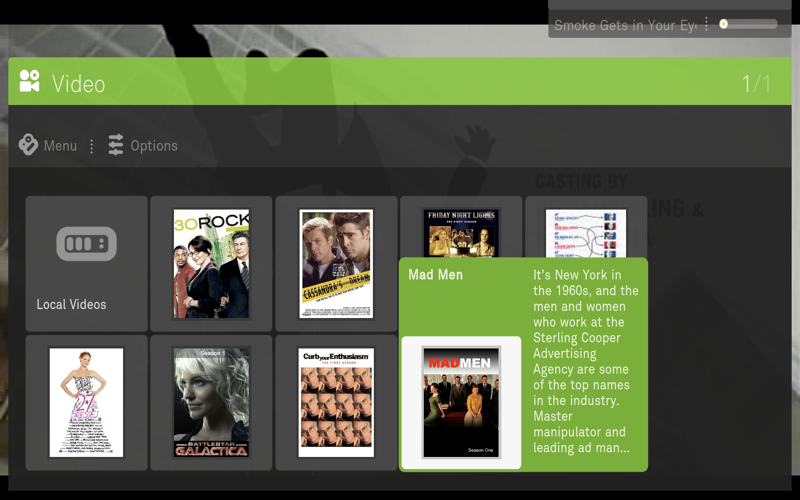 Out this spring, the Boxee Box aggregates and organizes tons of free and paid TV and movies available on the web in a slick, user-friendly interface. Want to watch LOST? No need to go to ABC.com or Netflix. Just type “Lost” into Boxee and every episode available on the internet appears, no matter the source. It’s like some Uber on-demand system from the future. 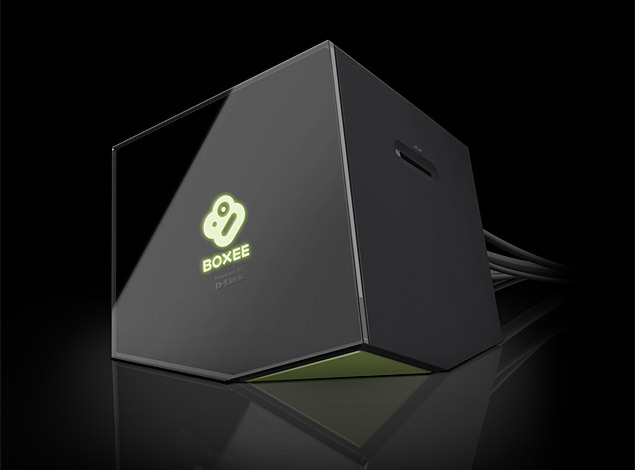 Get it from www.boxee.tv – it costs about $200. Every issue, GQ Magazine has a section that is called “The Manual: Look Sharp, Live Smart.” It usually has endorsed products to help you look like the stylish man that your mom always knew you could be. In the May 2010 issue of GQ Magazine, the one with Jake Gyllenhaal on the cover, GQ endorses the use of suspenders. Apparently they have come back into non-nerdy fashion. Wearing suspenders used to be a practical move. Back in those Bogart days, you’d go about your business with your pants perfectly “suspended,” rather than cinched by a belt. Now, like plenty of other mid-century essentials (tie bars, pocket squares, fedoras), suspenders feel in again after being out for so long. Thin clip-ons channel a punk-rock vibe, while wider, button versions deliver more of a neo-preppy message. Either way, keep your outfit simple for a custom – not costume – look. Gotta love it. In the January 2010 issue of GQ Magazine, the one with a near-naked Rihanna on the cover, there is a lunch theme in the recurring “D.I.Y. Man” section. This is a step-by-step guide to packing the perfect lunch. “Your mom’s not making you PB&J anymore (we hope), but if you’re smart, you’ll still brown-bag it occasionally. 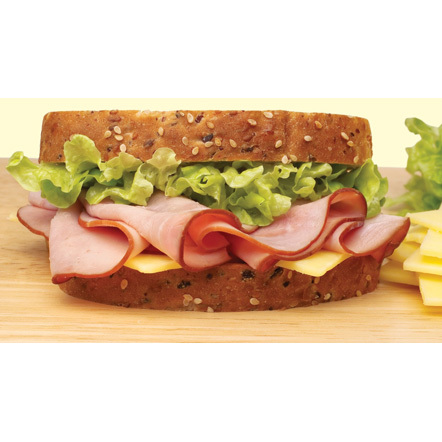 You’ll eat better, save cash, and never have to schlep to Quiznos again. Sturdy, grainy bread from a bakery, sliced by you. Not only will it taste fresh and flavorful; it won’t turn into a squishy mess. Cheese adds a salty, creamy texture to the mix. 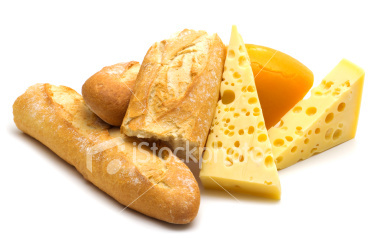 Use something good, like an aged Cheddar or Gruyere, sliced thin. Like Tom Colicchio preaches, “Keep the wet stuff away from the bread” so it doesn’t turn soggy. Your Dijon or mayo? Spread it on the cheese instead. Use greens that taste like something. Try arugula. It’ll add a big, peppery kick to every bite. Invest in quality cold cuts. Look for markets that prepare their own turkeys and roast beef. Or order up a pound of good real ham. Sliced feathery thin. 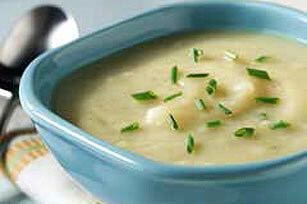 This is soup as a meal, so you want something hearty (and easy), like potato leek. Here’s how to make it. In a stockpot, saute a chopped onion with a bit of olive oil. When it turns translucent, add a chopped garlic clove, then three big chopped leeks (trim the tough green parts), a pound of peeled, diced potatoes, and salt & pepper. When the potatoes start to brown, add enough chicken stock to cover the vegetables. Bring to a boil, then reduce heat, cover, and simmer. The longer it simmers, the deeper the flavor becomes, but its good to go after about 30 minutes. If you have a blender, puree the soup. In the morning, grab half a baguette and transfer the soup to a thermos. 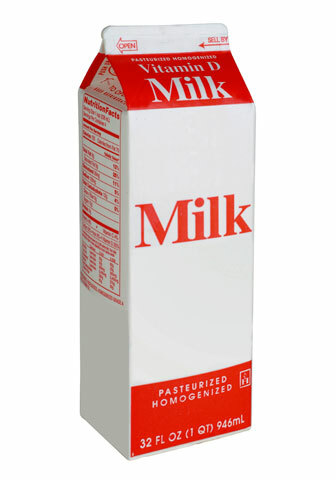 Zap it in the office microwave; then, if you want, add some heavy cream – the kind in the little packets by the coffee machine will do just fine. Finally, if you feel like adding some shredded cheese, the same Gruyere you already have in the house for sandwiches – we’re not going to argue. This one’s easy: no cooking, hardly any assembling. Start off with a hunk of bread. Olives. Cornichons (those little pickles). A hard cheese, like Pecorino or Piave. Finally, some kind of hard European salami that you will cut yourself, at your desk, with the Swiss Army knife you bought expressly for this reason. The salami should have a casing that looks rumpled, hard, and covered with flour (it’s really mold). It should have a name like Felino or Crespone. If it’s vacuum packed and made in Ohio, it’s the wrong kind. Leave your leftover Carbonara and Bologmese at home. 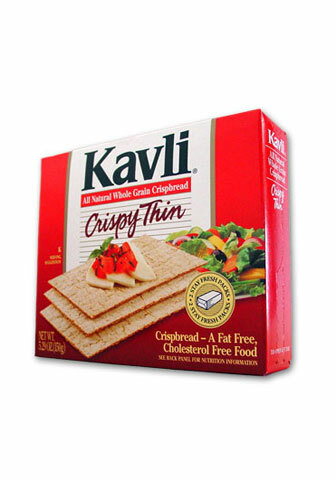 What you want is something lighter and simpler that can be eaten at room temperature. Dress the pasta with a quality olive oil, salt, pepper and a sharp cheese like a ricotta salataor feta and throw in some chopped olives. If you’re a meat guy, add sausage. The December 2009 issue of GQ magazine has an interesting concept on cold-weather cocktails. The thought here is that you eat and dress seasonally, so why shouldn’t you drink seasonally as well? For colder days what you need are drinks with depth and complexity, ones that pack a punch and warm you up but with a subtlety that won’t leave your throat on fire. Invest in these bottles and you will have fireside-worthy cocktails to last until spring (when its mango margarita time again). 1. Amaro – the perfect digestivo (try it with a couple ice cubes), this Italian liqueur really does help you digest after a big meal. 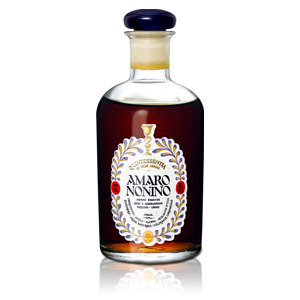 If you find the standard variety too Jagermeistery, try Amaro Nonino – it’s just bitter and herby enough. 2. Ri (Rye) Whiskey – Less sweet than bourbon, rye holds up better in cocktails that call for whiskey. A quality rye needs only an ice cube or two; for something smoother, try this… Old Fashioned: 1 sugar cube, 2 dashes of angostura bitters, 2 ounces Rye, 1 amarena cherry. The sugar and bitters take just enough of the edge off the liquor. 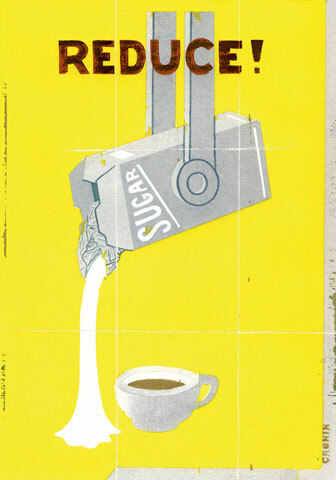 Muddle them with just a little warm water and when the sugar dissolves, add the rye and some ice, stir vigorously and drop in a cherry – preferably not the neon red kind. 3. 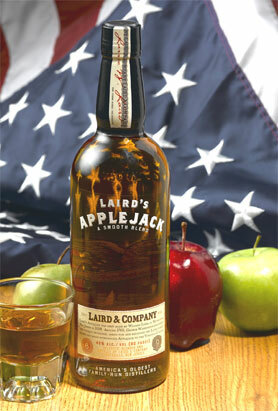 AppleJack – The world’s only maker of AppleJack – a cider-based spirit – is Laird’s, a distillery in New Jersey that’s been producing it since the 1600’s. And the number one reason to stock your bar with it is to make the following…Jack Rose: 2 ounces AppleJack, 1 ounce lime juice, 1/2 ounce grenadine. Like the sidecar, this is one of the most deceptively boozy cocktails you’ll ever drink five of. 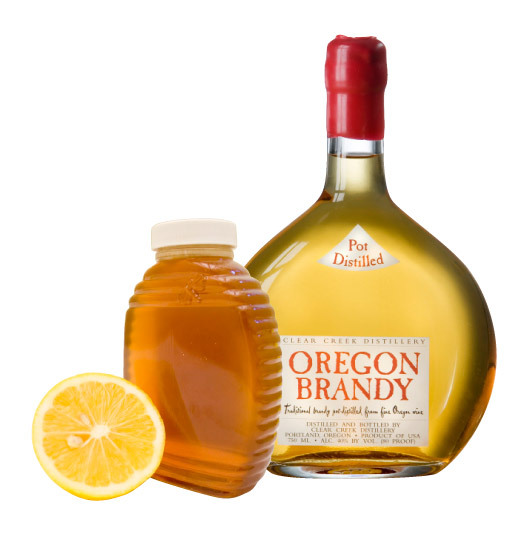 And its not the same when made with easier-to-find apple brandy. Shake the ingredients with ice, then strain, sip, and settle in for the night. 4. Red Vermouth – Vermouth might play a bit part, but it’s the difference between an awesome cocktail and an overly saccharine one. Dolin, a vermouth from the French town of Chambery that has just become available in the US, is so light and dry you should consider drinking it on the rocks with a twist of lemon. Or use it to make a manhattan, the ultimate cold-weather cocktail. 5. Brandy – Distilled from grapes and aged in French oak, this brandy is not unlike Cognac – smooth, rich and ideal for the sidecar, one of the most drinkable and warming cocktails around. Sidecar: 1 and a half ounces of brandy, 3/4 ounce of Cointreau, 3/4 ounce of lemon juice, orange peel. Shake the first three ingredients with ice, strain into a glass, and garnish with the orange peel. Also try squeezing the peel over a lit match while holding it above the glass. This gives the drink’s surface a thin layer of concentrated orange flavor, but it mostly impresses guests. If you would like information on any of these, feel free to contact us or pick up the December 2009 issue of GQ Magazine, on newsstands now. Cheap, Masculine Style? Shut the front Door! 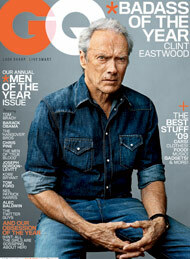 In the December 2009 issue of GQ magazine (the one with a very old and wrinkled Clint Eastwood on the cover) there is a section that features the best stuff of 2009. Among some fun tiny cameras and the world’s best juicer is a masculine bench that really caught my eye. I saw it, liked it, and then immediately wondered how much this bench would run me. Turns out it is more reasonable than you think…check it out. 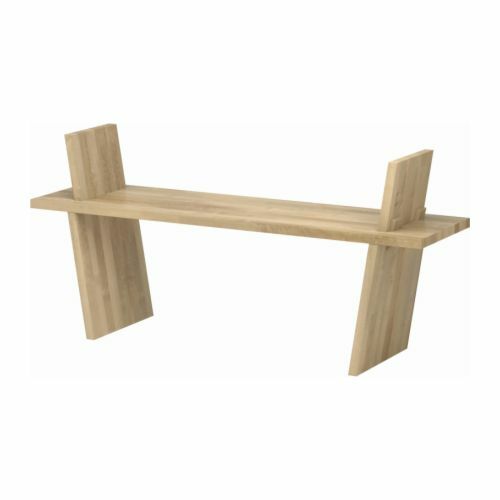 The PS Rasken bench defies all expectations of Ikea furniture. It’s made of actual wood, not particleboard, and assembles without tools; your weight locks the pieces into place when you sit, a trick adapted from traditional African chairs. Still, you may be skeptical. Surely it will wobble, or squeak disconcertingly. But the Rasken is rock solid. At $100 it may not be stupid cheap, but it’s pretty damn reasonable – and like we said, easy to put together.